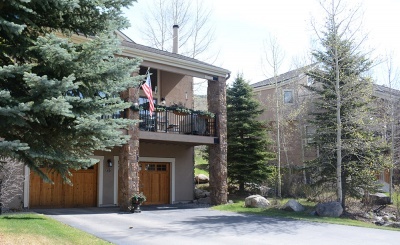 Located on the north side of Highway 6, the Enclave is a group of townhomes with great views of the skislopes of Keystone Mountain and higher peaks east and west. The Enclave's homes are nestled in a parklike setting and come with all the amenties of a hotel - and world-class skiing right across the road. Homes in the Enclave are more ranch-like than vertical and have garages that face the private roads that link the close-knit neighborhood of this enclave. 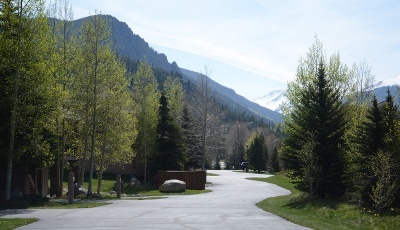 We encourage you to contact a Breckenridge real estate agent with any questions. Want to learn more about the available Enclave Townhomes? Read on to learn more! The Enclave is a small subdivision. The split-level townhomes are all the same style and are each located on a quiet bar-bell shaped street - cul-de-sacs at each end. Each home has its own garage and the complete has a complete clubhouse. 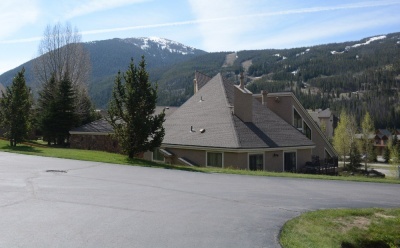 These homes sit slightly uphill from the main road through Keystone, Highway 6, and so there is a great view across to the ski mountain as well as up and down the Snake River Valley. An indoor pool, game room and racketball courts are part of the Enclave Townhome's clubhouse. A lounge is available for all Enclave guests and homeowners. If you'd like to learn more about the Enclave, please contact Breckenridge Associates Online or call (800) 774-7970 or (970) 453-2200 to consult a qualified real estate professional.